That’s the straight dope from another resident of TV star Jussie Smollett’s high-rise apartment building in Streeterville. 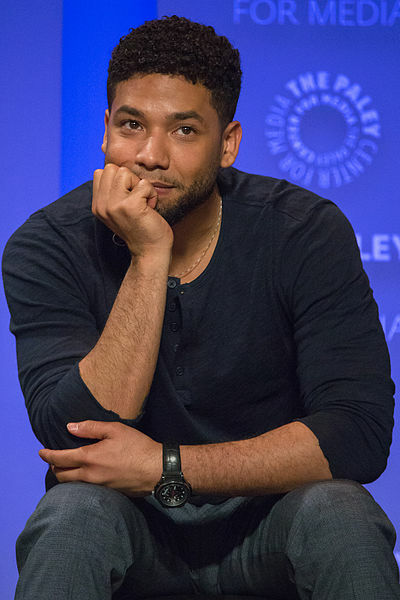 The neighbor, who is an acquaintance of Smollett’s, has no doubts that he was the victim of an anti-gay, anti-black physical attack outside of the building early Tuesday morning. The exterior of the building’s back door has no direct surveillance camera as you’ll see in video we’ve secured showing the exact route that Smollett would have taken to enter the building’s secondary entrance near where the attack was reported to have occurred, according to Chicago police. The resident spoke with CWBChicago at length today about the reported hate crime in which Smollett said a noose was tied around his neck and an unknown substance—likely bleach—was poured on him by two masked individuals who told him he was in “MAGA country.” That’s a reference to President Donald Trump’s 2016 “Make America Great Again” campaign slogan. Top of mind for the neighbor was ABC7 reporter Rob Elgas’ scoop that police had secured videos showing Smollett walking down a street near his home, leaving camera range and—about a minute later—appearing on a different camera as he entered his residential high-rise with a rope around his neck. Video shows Smollett walking past what police called "security" and continuing to an elevator that took him to the apartment where officers would later take his report. Then, we were shown the exact steps Smollett took to enter the rear of the building: a shortcut that allows residents approaching from the east to enter the high-rise without climbing a set of exterior stairs or walking four blocks to get to the upper level entrance. This video shows the exact route Smollett would have taken as he turned from North New Street (where police said two “potential persons of interest” were captured on surveillance cameras about 15-30 minutes before the attack) and entered the lower level of North Water Street. “At 2 a.m. in the cold you’re not going to expect to find eyewitnesses, especially down here,” the neighbor said. A key fob is swiped, then you’re inside and back on camera. From turning onto Lower North Water to entering the rear entrance of Smollett's building, about 20 seconds elapsed on the walk. Once inside, there's an elevator that will take you to the lobby. Then, you'll pass the concierge and go to the residential elevators to access your unit. Pointing to Smollett's active social media life, the neighbor believes anyone who wanted to track him down for nefarious purposes could have done it. An Instagram photo showing the Chicago skyline through Smollett's bedroom window "is how I learned that he was my neighbor," we were told. On Monday night, Smollett posted a series of images to Instagram showing him sitting on the runway in New York and talking about the upcoming cold snap in Chicago. "It's a stalker's delight," the neighbor said.